Mr Roantree of Dublin’s Institute of Education said it was dominated by sequences and series, although algebra and calculus were also prominent. “The sequences and series questions in particular were interesting, unusual and at first glance off putting, However, on investigation they turning into lovely questions” he said. 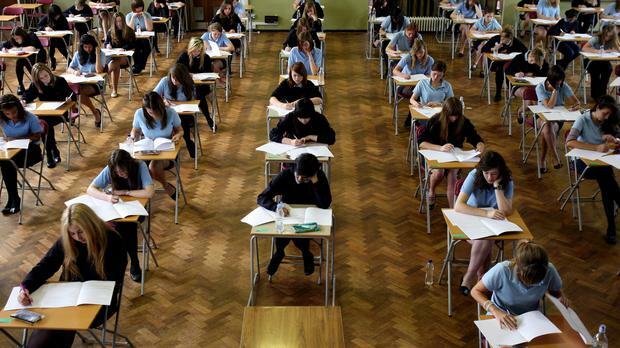 He said a student who entered the exam expecting to see familiar phraseology and wording everywhere would have been disappointed with these questions, but those willing to investigate would have been rewarded. Q5 was the second question to contain sequences and theories and he thought part (a) “was a wonderfully clever, completely new problem for students who were willing to explore” . In (b) a recursion formula made an appearance and “although relatively easy, it would not suit students who had just learnt off formula”. Mr Roantree described Q6 as an interesting mix of algebra, functions and calculus, but very manageable”. In Section B, Mr Roantree said “Q7 returned to the topic much examined last year of natural log or exponential functions and “a by now very common mix “ of algebra, graphs and calculus. Jean Kelly, who also teaches at The Institute of Education, said ordinary level students would have been “ delighted” with their paper.